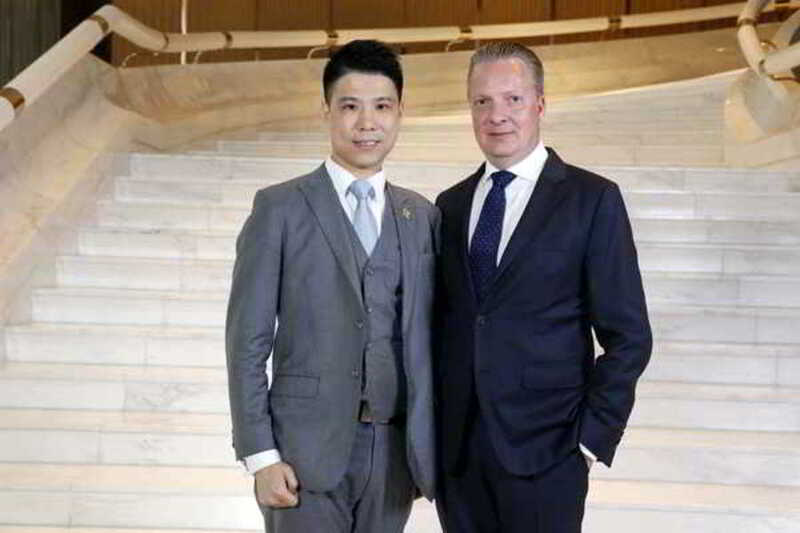 InterContinental Hong Kong General Manager Claus Pedersen is pleased to announce that the hotel's 2-Michelin star Cantonese restaurant, Yan Toh Heen and InterContinental Hong Kong Chief Sommelier Andy Au are the recipients of the highest honours at China's Wine List of the Year Awards 2017. The winners for Mainland China and Hong Kong, Macau and Taiwan were announced last month in Shanghai to an audience of Greater China's leading sommeliers, VIPs, Award Partners and Supporters, Wine judges from around the world, government representatives and media. YAN TOH HEEN won the award for Best Wine List of the Year – Hong Kong, Macau, Taiwan and was also the Winner of the Best Wine List – Hong Kong SAR and the Winner of the Best Listing of Chinese Rice Wines. Andy Au, InterContinental Hong Kong Chief Sommelier, won China's 'Outstanding Sommelier' 2017 – Hong Kong, Macau, Taiwan. InterContinental Hong Kong's other celebrated restaurants, the newly opened Rech by Alain Ducasse, and THE STEAK HOUSE winebar + grill also received top honours with the “3 glass” (outstanding) rating, while NOBU InterContinental Hong Kong received the “2 glass” (excellent) award. Established in 1994, the Wine List of the Year Awards were introduced to recognise and reward the enormous investment in time, skill and resources that go into developing the best quality wine lists in any specific country. The objective of China's Wine List of the Year Awards is to seek out and assess the Wine Lists of China's finest restaurants, hotels, cafes, brasseries and bistros, pubs, wine bars and clubs – large and small, plus Airlines and Cruise Ships. A panel of judges from China's Wine List is comprised of some of the world's most respected experts in Wine, Wine Service, and Wine Commentary. The panel includes Master Sommeliers, including the CEO of the Court of Master Sommeliers Europe, a previous Decanter Magazine – Man of the Year and – previous Best Sommelier in the World, and a previous Best Sommelier in Asia-Oceania, advisors to the China Sommelier Association – Preparation Committee, plus Masters of Wine and Wine Commentators from some of the most respected publications both in China and around the world. It was these international and Chinese voices of wine authority who oversee the final selection of China's finest lists. China's Wine List of the Year Awards honour the country's exceptional sommeliers, who with professional acumen, dedication and talent have created truly remarkable wine lists. These awards inspire wine service professionals to improve their knowledge and standards, thus raising the bar on the level of service that sommeliers provide. Internationally acclaimed as one of the world's top hotels for business and leisure, InterContinental Hong Kong is prized for its unrivalled views of Victoria Harbour and Hong Kong Island. The hotel is also renowned for its luxurious accommodation, impeccable service and world-class restaurants which include two celebrity chef restaurants – the newly opened Rech by Alain Ducasse and NOBU InterContinental Hong Kong, plus the 2-Michelin star Yan Toh Heen, THE STEAK HOUSE winebar + grill and Harbourside, popular for its elaborate international buffets. All of the hotel's restaurants and the stunning Lobby Lounge showcase spectacular harbourviews.